Paper Temptress at the HOP! 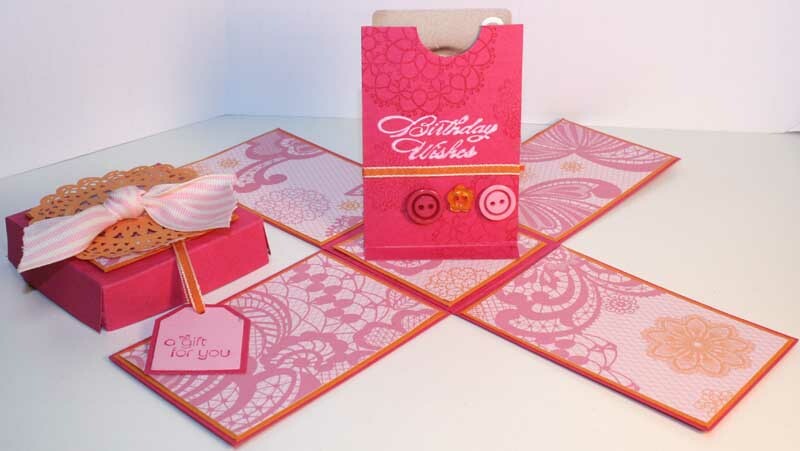 It is Day Three of the TJ Blog Hop, and we are celebrating today with Paper Temptress! What could be better than having a partner who is all about paper when you are creating 3D Paper Crafts? And to make it even better, Paper Temptress is offering a $25.00 gift certificate for today to one lucky winner, and another $25.00 gift certificate for the gift basket drawn on Monday. In person, this card is shimmery, textural, and just plain pretty as a picture. The base of the card uses Alpine Aster Glimmer, and I used Cappuccino Mica/Metallic, Green ruche and Khaki Ruche to compliment it with the layers. You can see hints of the texture and glimmer on the pictures above! 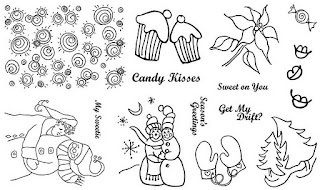 Want ot win the $25.00 gift certificate from the Paper Temptress? Just leave me a message on today's post -- you will be entered to win today, then you will also have an entry for the grand prize basket, too. You can also play along with us! Feel free to post your artwork using the Double Twisted Easel Technique, or any of the techniques on the 3D and Fun Folds CD. Then add your work to the blog hop below! Blog Hop - Day 2 -- Give it a whirl! 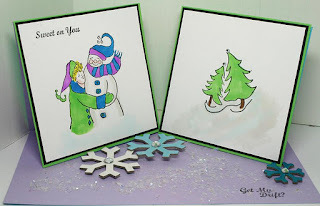 Today is Day 2 of the Technique Junkie Newsletter Blog Hop, and we are partnering with the folks at Rogue Redhead Designs today! If you missed reading about the hop yesterday, please read the post HERE for details on the prizes and to see what you have missed. 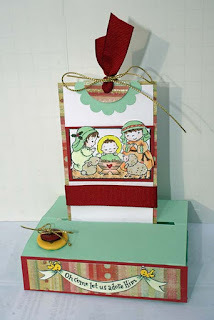 For today's hop, I made the Double Twisted Easel card from the 3D and Fun Folds CD using the Candy Kisses stamp set from Rogue Redhead Designs. It is the same set that RRD is giving away to one lucky winner of today's prize!! All 70 of the pdfs on the CD are in that same great format -- yes, SEVENTY. And it is only $17.95 for US/Canadian Addresses, and $19.95 for Overseas addresses! More details are HERE. Once you have been to all of the blogs, come back here and leave a message on my blog. Your entry will be placed to win the stamps above, and you will be entered for the Grand Prize drawing on Saturday, too! Enjoy hopping and good luck! It's a weeklong blog-hopping extravaganza! Hello and welcome to the Technique Junkie Newsletter Blog Hop! All week long we will be hopping in conjunction with our favorite vendors to show case our new 3D and Fun Folds CD. Every day we have new designers, new prizes, new artwork -- tons of fun! At the end of the week, we will have a grand prize basket for one lucky winner too! A fantastic group of design team members from both Classy Cards ‘n Such and the Technique Junkie Newsletter have helped put together today's Blog Hop to kick off the week.One Lucky hopper will receive a $25.00 Gift Certificate to spend in the Classy Cards 'nSuch Store, too! We have a Blog Hop happening each day with an opportunity for you to win many prizes from some of our wonderful advertising companies! Please stop through EVERY DAY and take your time visiting each blog! You have until 11:59pm EST December 2nd to leave comments on as many blogs as you can. On Saturday, December 3, I will be announcing the winners from each company. Be sure to hop along on each day! There will be FIVE WINNERS! On Monday, December 5th, Pat will announce ONE LUCKY WINNER with a GRAND PRIZE with a bundle of prizes from all of the participating companies. In order to win you will need to comment on my blog - make sure to leave your email address. Every day that you enter, you are eligible for that day's prize, plus you get an entry for the grand prize for every comment on my blog you submit (up to one per person, per day) -- that is five opportunities to win the grand prize basket! (In other words, your comment today will make you eligible for the $25.00 Classy Cards 'n Such Gift Certificate, plus you will have one entry for the Grand Prize). And the grand prize includes... A Technique Junkie Newsletter Subscriber for Life prize! If you have been following along already you should have come from Elisa Kammerdiener 's blog. If you are only starting here, please head back to the Technique Junkie Blog and go from there. You won't want to miss any stops along the way! 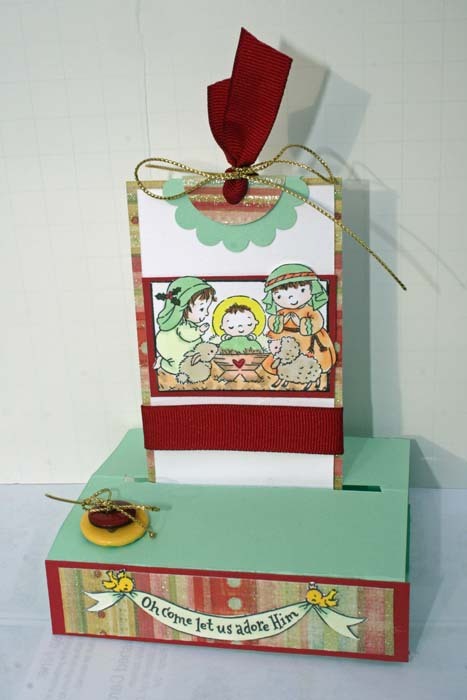 I used the Freestanding Pop-up Tutorial from the 3D and Fancy Folds CD to create this cute card. The best thing about this? It folds FLAT for mailing! and it was sooo easy to make -- I had great directions! I used Stampavie stamps from Classy Cards 'n Such for both the main image and the saying. They are actually one stamp -- I deconstructed it to use the different parts where I wanted them on my card. If I was your first stop, I urge you to go to the TJ Design Team blog to go through the whole hop -- you will really enjoy the projects and inspiration! It also gives you a chance to see some of the projects from the 3D CD as made by different designers. Okay, so start with the Design Teams blog and work your way back. Remember to leave comments for the designers, and especially here -- and good luck! 3D Gift Card Box - It is so cool! I know I am not supposed to have favorites (it is like picking your favorite child), but in this case, I do. 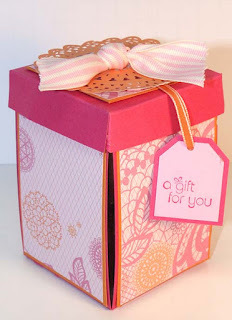 This 3D Gift Card Box is my favorite (okay, ONE of my favorites) from the newest TJ CD: 3D and Fun Folds. The Cd has 70 tutorials on it, all in pdf format, step-by-step with pictures for each step -- and multiple finished-piece examples. And...it is only $17.95 (US/Canada - $19.95 for Overseas). Go to the link above to see all of the tutorials on the CD. The cool thing about this particular project is that it is a box - until the lid is removed. Then it is this really cool 3-D gift card holder. Even my 16 year-old son is impressed with this one! And the directions for this are remarkably easy - even the most folding-impaired can follow the directions. Try the CD -- you will not be disappointed!